Wayne's practice focuses on business, real estate and family law. 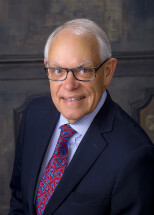 Prior to joining LGK, he served as Vice President and General Counsel for a holding company that owned mortgage, real estate and title companies, and that owned and managed commercial real estate. He previously was Associate General Counsel for Litigation Management, Mergers and Acquisitions for Alliant Techsystems, Inc., a leading supplier of defense products to the U.S. military. He is a former Vice President, General Counsel and Director of Tax and Fiscal Policy for the Minnesota Chamber of Commerce. He previously served as Chief of the Civil Division of the Office of the St. Louis County Attorney. Wayne is a Real Property Law Specialist certified by the Minnesota State Bar Association. He also is a licensed real estate broker. Present and Past Public Service. Regional Multiple Listing Service of Minnesota, Inc. (RMLS): Chair, Board of Governors. RMLS owns the Northstar MLS that serves more than 13,500 REALTORS® in Minnesota and Western Wisconsin.